Radiators are devised to absorb the excessive heat. They are used to maintain the temperature of an automobile. Radiators are also common in many electronics items and also in buildings. Radiators keep your engine cool by maintaining the optimum temperature. But sometimes your radiator does not function properly because of some leak or many other factors. Improper functioning of the radiator can cause overheating. Overheating cause many other problems like halting, radiators leaks etc. 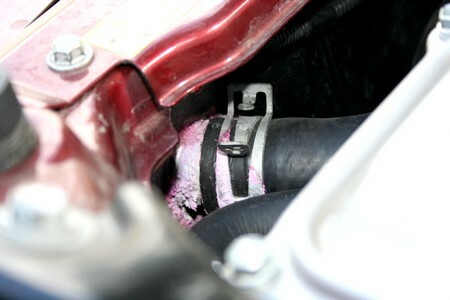 To keep your cooling system functional you should prevent the radiator from leak. This can be done by regular maintenance of the radiator. Here are given some tips to stop the leak from radiator. Examine the radiator carefully and try to locate the position of the leak. If you find the hose leaking, repair it with the help of duct tape. This will hold the leak up to a week. You can replace the hose with that period. If your radiator is leaking, then take some black pepper and water. Take the radiator cap away and put one or two teaspoons of black pepper into it. Pepper will help to block the leak holes for short period of time. Fill the radiator with water. Once you are done with filling the radiator to the required level, replace the cap of radiator. Keep some extra pepper and water with you. You might need to refill the radiator later. But be careful not to touch the radiator while it is hot. In the end, contact your mechanic at your earliest to fix an appointment and don’t forget to tell him/her about the temporary measures you have just taken. Silver Seal Heavy Duty radiator is considered to be the best leak stopper. This silver seal radiator immediately stops the leaks, prevents your radiator from rust and instantly lubricates the cooling system. This leak stopper is radiator friendly and does not damage the radiator; however silver seal radiators make permanent and quick seals and easily mix with coolant or antifreeze agent. Keep extra water in the car for emergency situations. You can use white eggs instead of black pepper. They will perform the same function like peppers.